Seven readers love this post. 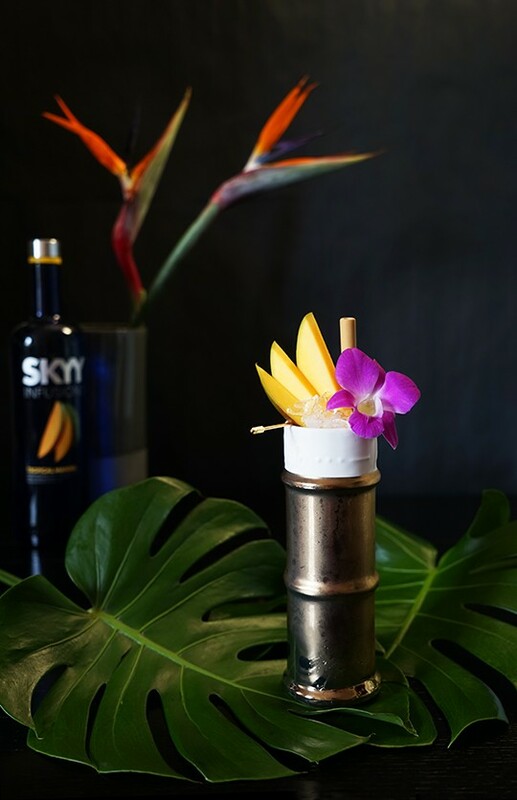 Today I am working with SKYY Vodka to bring you a tiki-tastic recipe using vodka, yes you read that right, vodka. Usually when one thinks of tiki drinks, rum comes to mind. 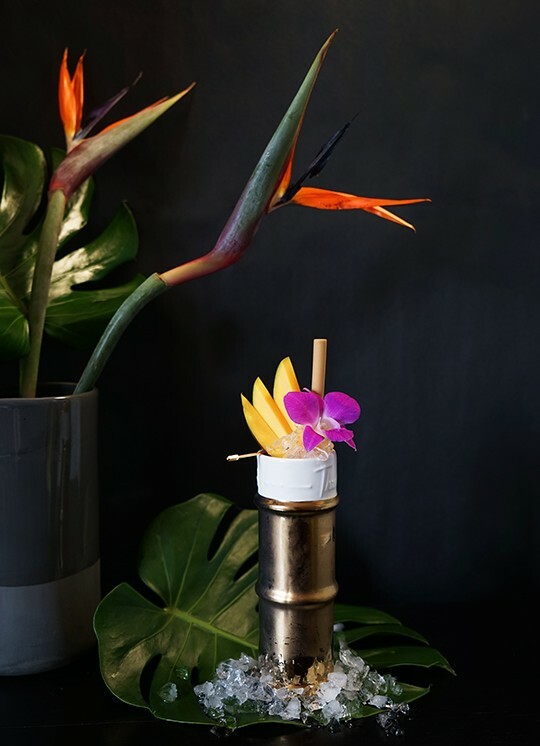 But there are a lot of incredible tiki recipes out there using all kinds of spirits: tequila, mezcal, whiskey, and perhaps most surprising of all, vodka. 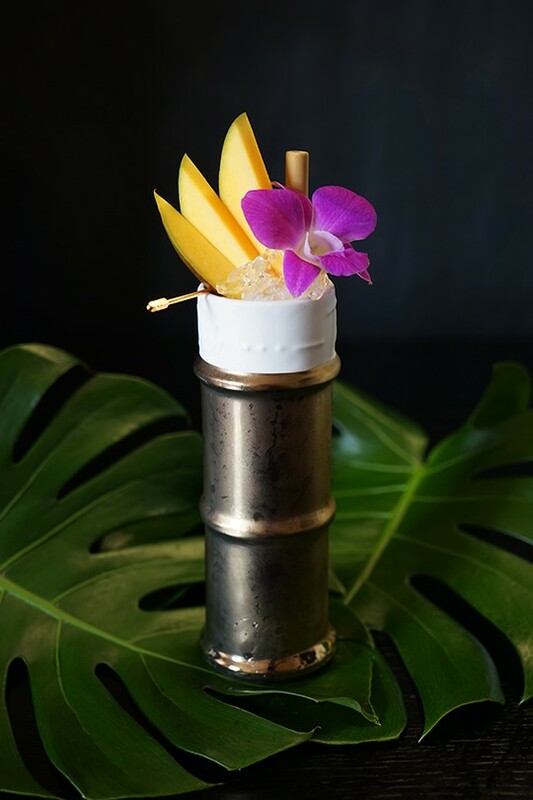 One of my favorite classic tiki recipes uses vodka as the base spirit - the Chi Chi - a cocktail that gained massive popularity with tourists in Hawaii in the 1950's. I haven't been to Hawaii since I was about 8, but one of my most visceral memories of the trip is of the pineapple. I had never tasted such delicious pineapple - it was so vivid and full of flavor. 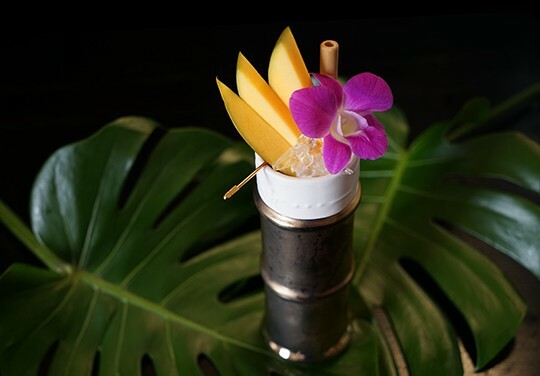 I can only imagine that drinking Chi Chi's made with fresh pineapple juice in Hawaii is pretty much heaven on earth, but sadly the pineapple on the East Coast just doesn't taste the same as it does on the islands. 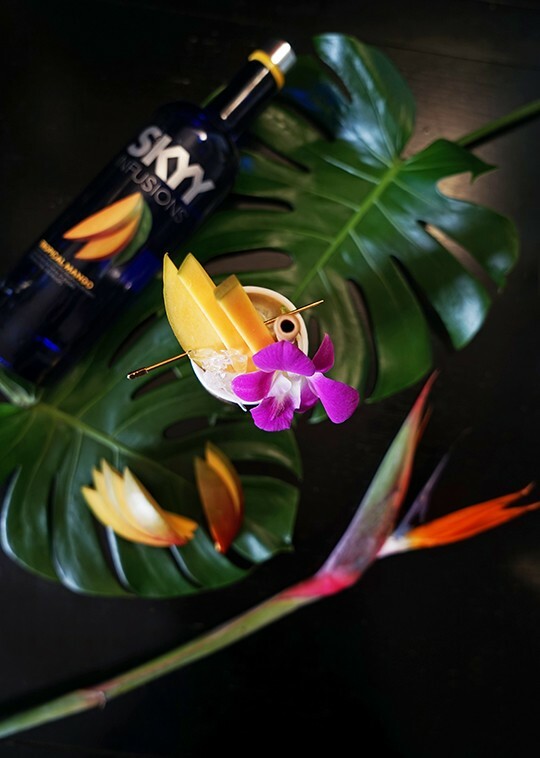 I have fortified this Chi Ch variation with mango, in the forms of mango juice and the newly released SKYY Infusions Tropical Mango Vodka to give the cocktail a round sweetness to balance the piquant flavors of east coast pineapple. 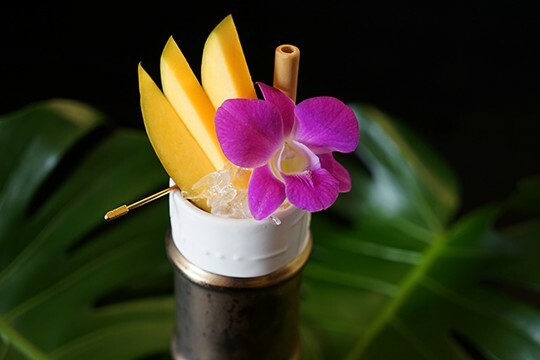 Like any tiki cocktail, the Chi Chi is best served in a festive tiki mug and garnished opulently - fresh fruit, swizzle sticks, bamboo straws, and fresh orchids - anything to help transport you back to the islands for a mini mental vacation. This is a great cocktail to make for summer parties - you can batch ahead of time and mix in the blender to eliminate shaking. 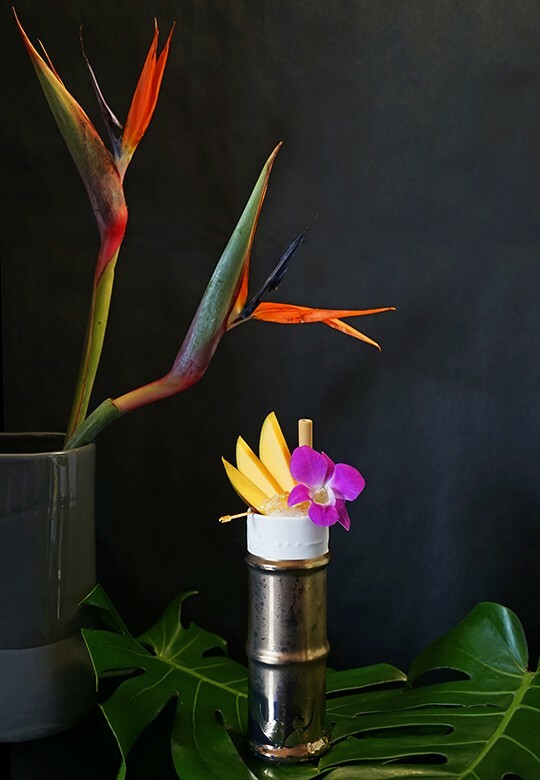 Set up a garnish station to allow your guests to garnish their cocktails themselves, just order extras because you know half the flowers will end up in your guests hair! 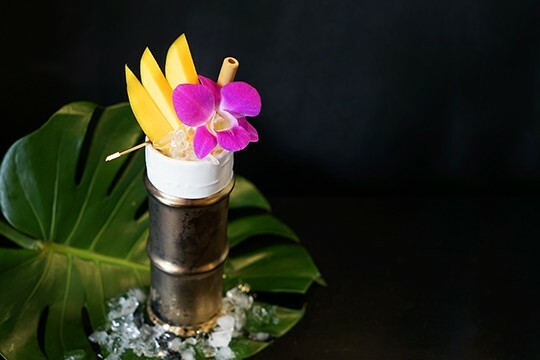 Shake with ice and strain into a tiki mug filled with ice. 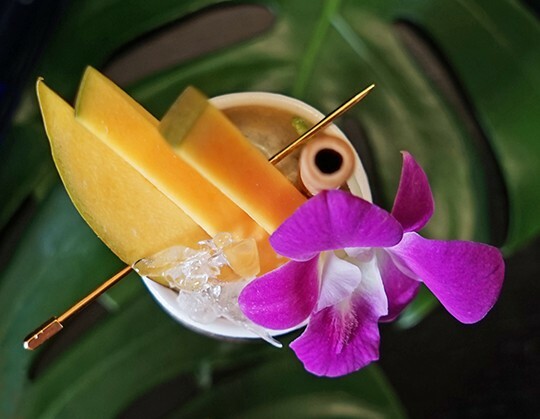 Garnish with fresh mango and an orchid. This is a sponsored post written by me on behalf of SKYY Vodka. All opinions are 100% mine. An award winning website focused on the culture of drink.